Whether you’re planning a family outing or a hands-on class field trip, Rosa Brothers Milk Company offers exciting farm tours that kids and grown-ups will enjoy! Tours are seasonal (April through October). should we expect to see? Our one of a kind Visitor’s Center, where you will be introduced to our family and the world of milk production. 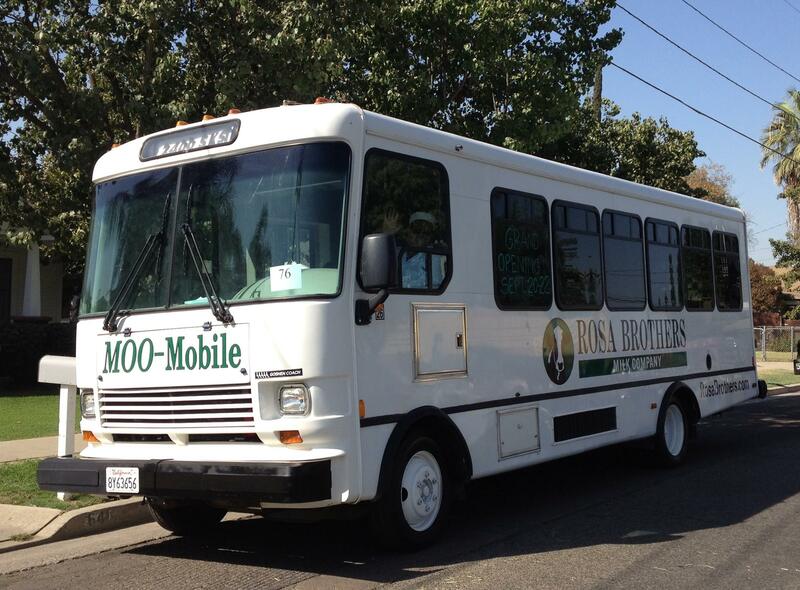 You will then take an adventure around the farm in our Moo-Mobile (tour bus) and see the sights and sounds of a working dairy farm. Upon return to the Visitor’s Cnter, you will be welcomed to the barnyard. 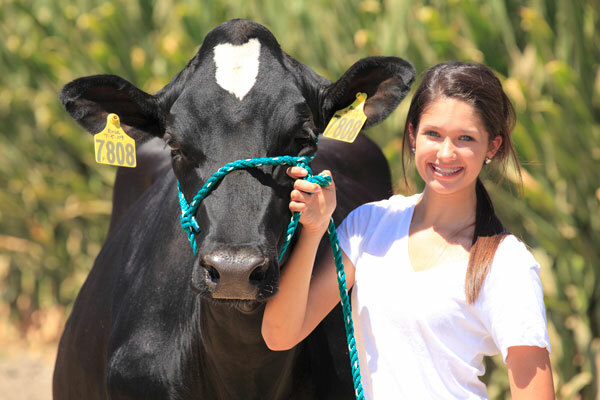 Here, you will have the opportunity to view a live calf and complete a cow-milking contest using Rosie, our simulated cow. Before you depart, you will want to take photos with our barnyard props and sample our delicious dairy products! We recommend wearing comfortable clothes and shoes for the tour. The tour is approximately 1 hour long. Yes, we have portable bathrooms available that are handicap accessible. Are there Souvenirs Available for Purchase? Yes, our Visitor’s Center will be stocked with t-shirts, hats, and other farm related collectibles. However, milk and ice cream are not sold at the farm.